James Blaine was a dominant figure in American politics after the Civil War, serving as Secretary of State under Presidents James Garfield, Chester Arthur, and Benjamin Harrison. Blaine and his wife, Harriet Stanwood Blaine, were buried in Oak Hill Cemetery in Washington, D.C., in 1893 and 1903, respectively. 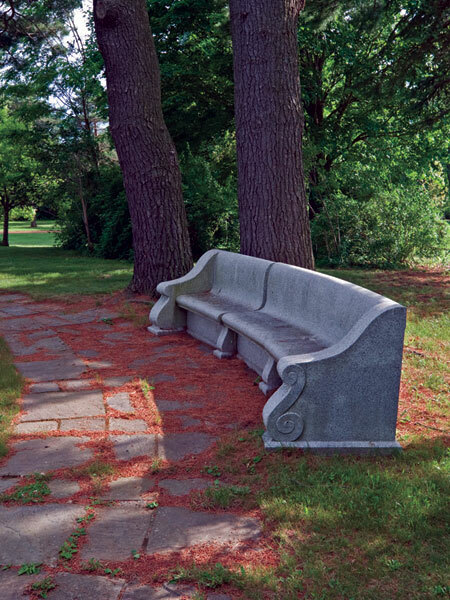 Highly revered in Maine, the Blaines were re-interred in Blaine Memorial Park, designed in 1920 by Carl Rust Parker of Olmsted Brothers. 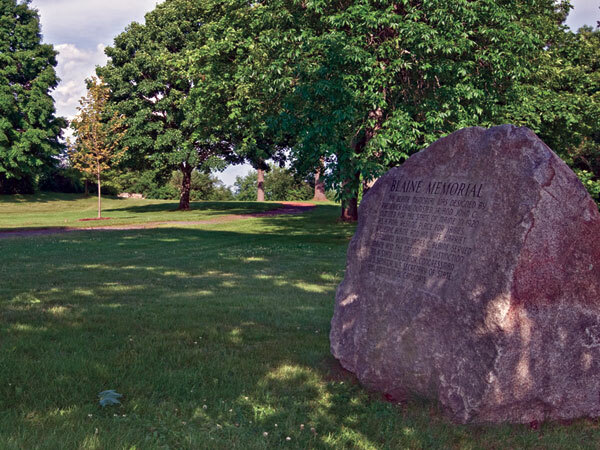 The three-acre site is located roughly one mile from Blaine’s home and is a favorite promontory for strolling and meditation. 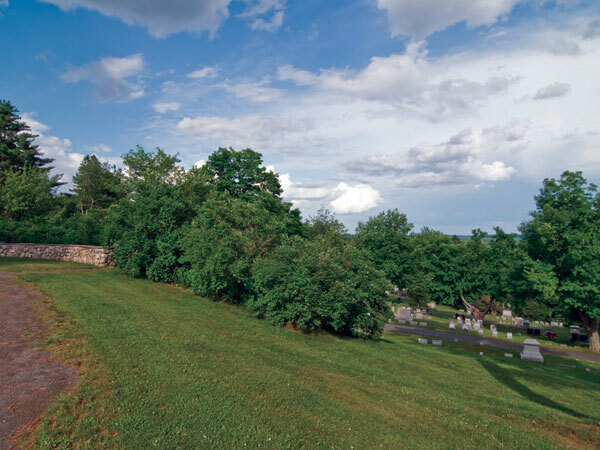 Adjacent to the historic Forest Grove Cemetery, the site affords sweeping views that overlook the city and Kennebec River for several miles. Parker’s plan featured almost 2,800 plants, a gravesite setting, and access from Blaine Avenue and the cemetery. Parker designed a horseshoe-shaped lane lined with elms, two slate gravestones bordered by a carved granite seat, and a stone terrace overlooking the Picturesque cemetery which could be accessed by way of a granite steps and landings which gently cascade down the hillside. Today most of the design features remain, though numerous plantings have died. 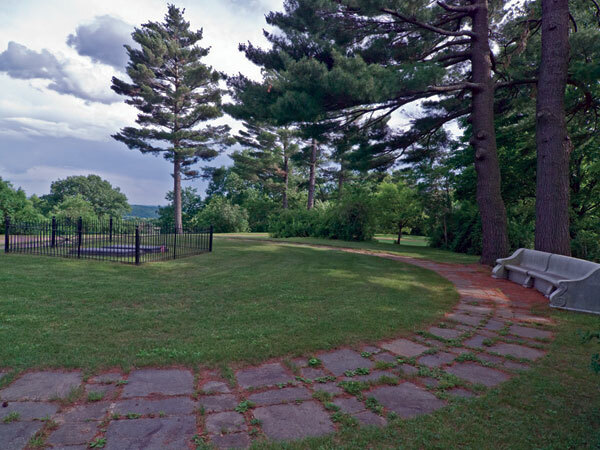 Despite the loss of plant material and removal of part of the horseshoe driveway, the park’s structure and original purpose remain intact today.